Disclaimer: Since Rich Nett linked to this review, I just wanted to take a moment to say that Rich is not paying me or reimbursing me for this in any way, shape or form. In fact, I never told him I was reviewing his boots. He just makes a great product, and I wanted people to know that. 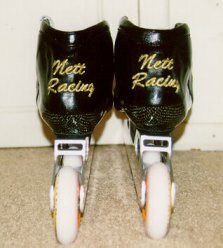 I've been skating on Rich Nett's boots since March 1999. 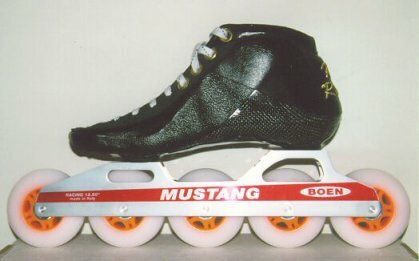 He found me through a post on rec.sport.skating.racing, where I asked about a good custom boot maker. He was just starting out mail order (he had already done several skaters in southern CA). He was willing to make the boots for me, and let me try them out before I paid him. (He doesn't do that anymore). I thought he was a nut, but decided to give him a chance. Three years later, I have not had one hot spot, one blister, or one complaint about these boots. 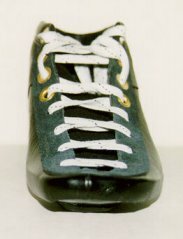 They are full custom, in a simple black design, made with a heat-moldable fiberglass shell with a neoprene heel/ankle cushion. 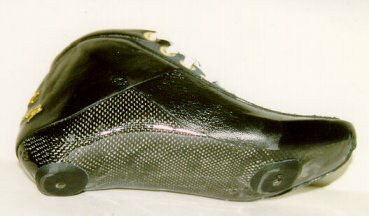 I know people who have bought Bont, Simmons, and Verducci boots custom made and had problem after problem. There was a 4 to 6 month wait for custom Verducci's. 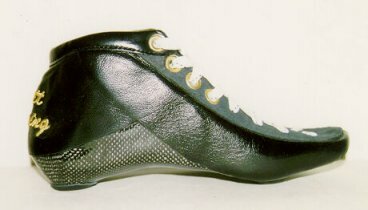 Rich had my boots to me in about 3 weeks (including shipping time). After 16 months on my current pair (my last ones were stolen), I have logged some 3000 miles on these boots. They have typical road scratches and scuffs, but not a single structural defect. I wish I could say something bad about these boots, but I really can't.